We have a partnership with Wesley Mission to deliver our Brighter Futures program. Brighter Futures supports young parents with specialised case management to ensure safe and healthy environments for their children. We work closely with Wentworth Community Housing to offer supported affordable housing for young people, and to provide tenancy support to ensure that once you have a property, you have the support you need to keep it. 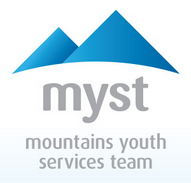 We have a partnership with MYST to deliver The Glue Factory in the Blue Mountains. The Glue Factory is located in Katoomba and Springwood, and provides practical supports including, shower and laundry facilities, access to computers, internet and phones and emergency packs such as our successful Refresh and Refuel packs. The Glue also provide case management and support to young people who are at risk of or who are homeless in the Blue Mountains. We have a partnership with Mission Australia to deliver transitional accommodation and support in the Penrith Local Government Area.